If you’ve heard the brilliant, award-winning arrangements of “Imagine” or “Mary Do You Know?” and more hits sung by billboard charting acapella group, Pentatonix, then you’ve heard the work of Ben Bram. He is the collaborating arranger and producer for Pentatonix and his arrangements are in high demand at $150+ or more for a single choral chart. 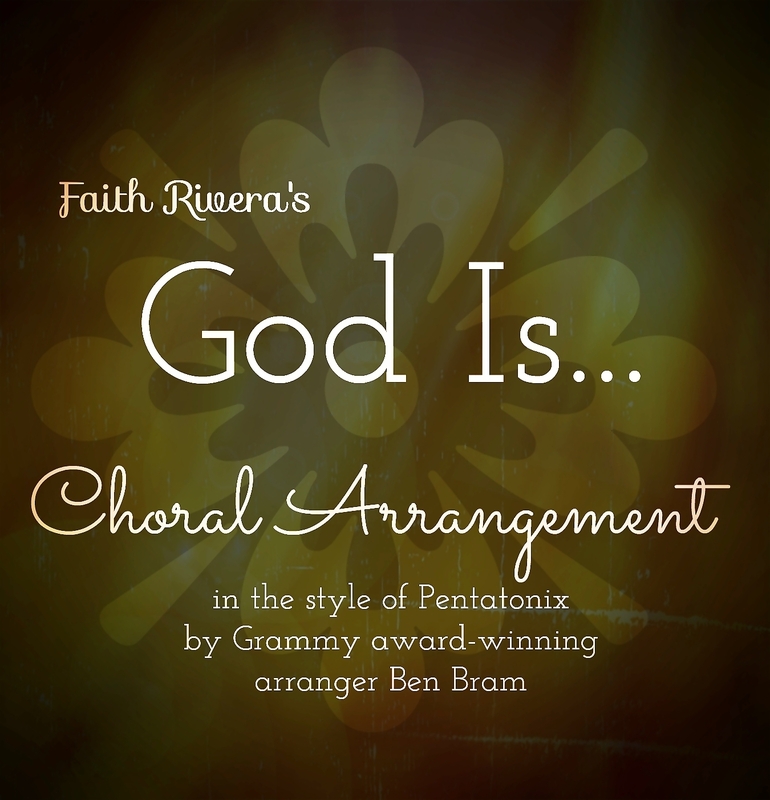 I hope you enjoy this new choral arrangement of my song God Is… - it’s a personal favorite of mine and can’t wait to hear your version! God Is… is one of my personal favorites – a song that seemed to write itself, a song that wanted to show me the truth of who I am. It’s been beautiful to see the song reach others and play a part in their spiritual lives & practice as it does for me. In recent years, I’ve been asked for a choral arrangement of God Is… by a number of music directors. On a side note, I’ve been a fan, or more a like freak for Pentatonix – a five-member acapella group that won NBC’s Sing Off and since then has risen to the top of music industry for their creative, soulful, brilliant musical sharings from covers to their own originals. In my dreams, I’m their 6th member! So inspiration hit early this summer after someone again asked for a choral arrangement. I thought why not get Pentatonix’s main arranging collaborator & producer, Ben Bram to create a Pentatonix-esque arrangement of God Is…?! So this arrangement is a result of me giving myself the biggest gift ever and splurging to have his brilliance take “God Is…” to the next level. Ben said it’s a beautiful song and initially wanted to create a 7 part arrangement but I asked him for a simpler version to start. It may not be 7 parts or have beat box like Pentatonix, but I know it’ll be wonderful and one-of-a-kind once your groups & choirs do your special thing with it! Can’t wait to hear and see your versions of “God Is…”!